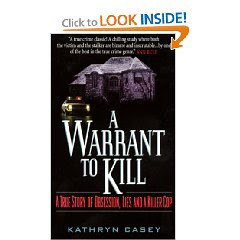 This book A Warrant To Kill by Kathryn Casey describes the chilling case of deputy sheriff Kent McGowen, an aggressive police officer with a troubled record, who stalked, harassed, and finally murdered Susan White, a single mother who had rebuffed his advances. Some people prefer reading fiction books because the end is always a surprise and some people prefer reading true life crime stories because the truth being stranger than fiction makes for a more interesting read. Kathryn Casey with her brilliant writing has managed to capture the best of both worlds in her true crime book “A Warrant To Kill”. The reader has no idea how the story ends until the very end, and there are surprises for the reader right up to the second last page. The last page deserves a special mention as it ends with an extremely poignant paragraph that will have most readers in tears and totally sympathetic of the victim, although she was not really someone who got any sympathy from me throughout the book. I, as a reader, made a connection with the victim and felt terrible for being in judgment of her. Kathryn Casey’s writing is absolutely brilliant and I have to list all the reasons why. First of all, I have in previous reviews mentioned that if you have seen a certain story on a program on TV then it is best not to read the book about the same story. Well, I saw this story on the Crime & Investigation network and it was an hour long program. I was initially reluctant to read about the same thing again but this is where Kathryn Casey’s brilliance comes into play. I had no idea what the end was going to be like and was very tempted a few times to go to the end to see what happens. Kathryn Casey writes specifically to keep you in suspense and manages to do that with a true crime story, which is virtually impossible to do. Another point in Kathryn Casey’s brilliant writing is the short paragraph she has at the beginning of every chapter. It is usually to give you an idea of what is coming further but also with some very thought provoking ideas and questions. The reader then enters the chapter with those thoughts and as the events unfold you feel yourself looking at everything from different perspectives, which just adds to the reading experience. I felt involved and able to come to my own conclusions as we went along. An important point to note about A Warrant To Kill is that the book is written when all the court proceedings are complete which is really excellent . If you do decide to read one of Kathryn Casey’s books and you decide that you also like her style of writing, then I would suggest that you keep up to date with other projects that she has in the future so you can make sure that you buy her version of the book. I suggest that you make a list of your favorite crime writers and keep track of their future projects by going to their personal websites. I absolutely cannot give you the ending of this book and the following might look cryptic but again it is on Kathryn Casey’s style of writing. There is something in the book which happens twice and Kathryn gives all the details in the first one and only the extra details in the second.This is done so well that the reader does not need to page back to re acquaint themselves with what happened prior but instead it is all there and yet it is not repeating any information. This book was truly brilliant writing at its best with so many twists and turns up until the very end. I suppose after all of this I do not have to tell you that I loved this book, that I adore Kathryn Casey’s style of writing and that I would buy all her books. So if you do not believe me then take it from Ann Rule and Carlton Stowers,two of my favorite brilliant true crime writers. 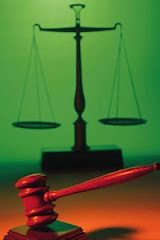 The link below will take you to Kathryn Casey’s website. Her website has all the links on her true crime books and any earnings made from her books sold via those website links is donated to charity. So not only do you get to read an excellent true crime story but you get to donate to charity as well. I read this book in March 2009 and it has 8 pages of pictures.There are also pictures of the psycho cop McGowen and he really has a "hit me now" face.I really wish I could deck him,just once,and then run really fast. This sounds like a very interesting read...Thanks for the review!